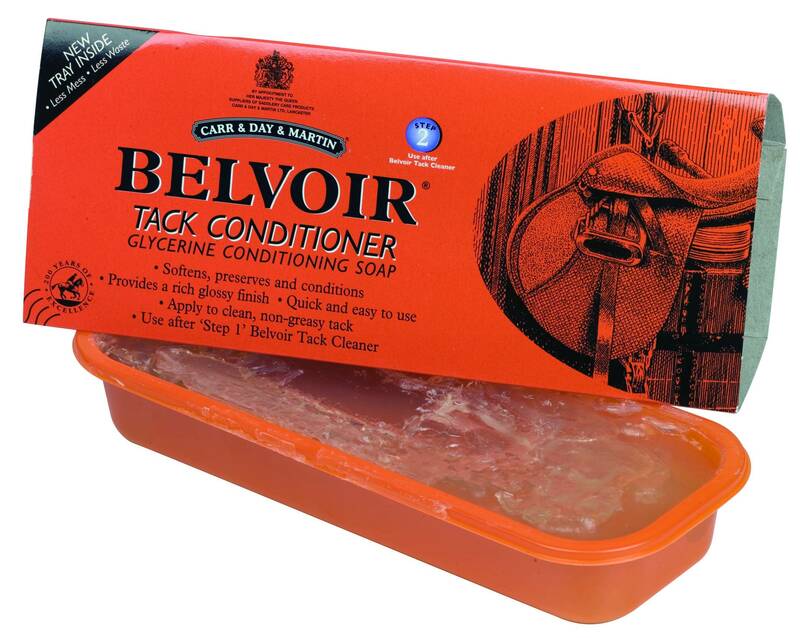 CDM Belvoir Step 2 Conditioner is to be used after Step 1 Tack Cleaner and conditions, protects and supples leather. This is formulated from vegetable oils and is a pure, clean soap ideal for regular use and comes in a re-sealable tray for convenience. It contains coconut oil and glycerine which fills and seals pores in the leather and helps to form a barrier against salt, dirt, grease and water. Not suitable for use on aniline or untreated leather, suede or nubuck.